A Mobile App- Making Road Crossing Safer & Easier for Older People! Switch on TV or read news via a mobile app, it is nearly impossible to find no news of road accidents. The world, undoubtedly, is improving in terms of technology and mobility. More and more cars are landing on the roads each day to make commuting easier. However, the negligence of the traffic rules & regulations is also increasing. People are in so much hurry to reach their destination that they resist not to compromise with the lives of the others. According to a Survey, pedestrians account for 40-50% of traffic fatalities. And the higher number of pedestrians who get hurt are elderly people. The older people lack required perceptual judgment and motor skills to cross a busy road within the desired time light. And so, they end up putting their lives in danger. To deal with this situation, Dynniq- a Dutch transportation technology company has developed a mobile app, called the Crosswalk App. What is Crosswalk Mobile App? How is it useful for elderly people? 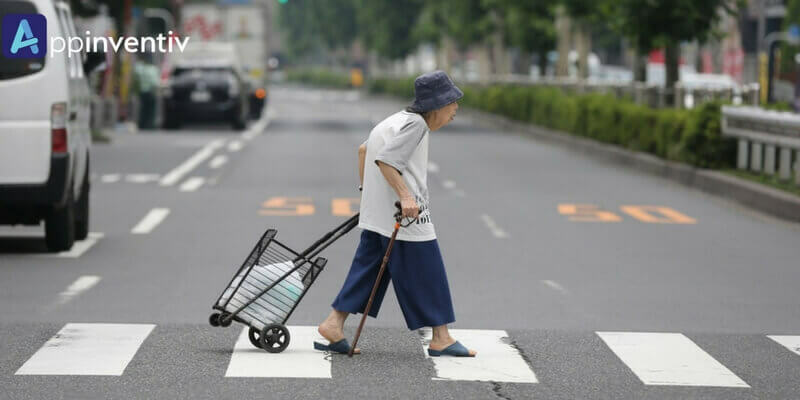 Crosswalk app is a mobile application to enable the older people to hold traffic for longer. And so, cross the street safely! This app uses the GPS and the software that runs the traffic signal to make the traffic signals detect if someone using the app is standing on the corner. When the app finds one, it will increase the traffic signal’s timing. The mobile app has four settings which allow users to adjust the extra time they need to cross the road. This seems to be a better option than increasing the traffic signals timings since the time required varies individually. Moreover, it does not leave the vehicles waiting forever and add to the traffic on the road. Are there any Future possibilities? It might allow one to create a green light for emergency service vehicles like ambulance, fire brigade bus, etc. Also, it may be used in situations like a group of schoolchildren crossing the street. Again, it can also be used to create lights that are better timed for bikes. This way, it will prevent cyclists from starting and stopping at every turn and block. From the above, we can say that the mobile app development has made its way to road traffic industry as well. 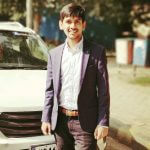 The companies have started developing mobile applications related to road traffic and many new ideas are under construction. This way, the mobile apps are supposed to make the road crossing experience better for the elderly people. Along with that, the apps will also be assisting in dealing with the road traffic and reduce the road accidents.